RDT’s staff love cake. They really, really love cake, to the point where sometimes cake just turns up randomly in the kitchen even when it isn’t anyone’s birthday. So we’re all very happy that today is Alzheimer’s Society’s Cupcake Day, so we can eat cake and give to charity at the same time! Our very own star baker, Jennie Myatt, took the day off work yesterday to create a huge selection of treats for us to enjoy. Our other prolific home baker, Elmaret Peters, also found time to knock up a batch of her famous Guinness cupcakes. The Alzheimer’s Society is particularly close to Jennie’s heart, as her grandmother, and consequently her whole family, was affected by dementia. 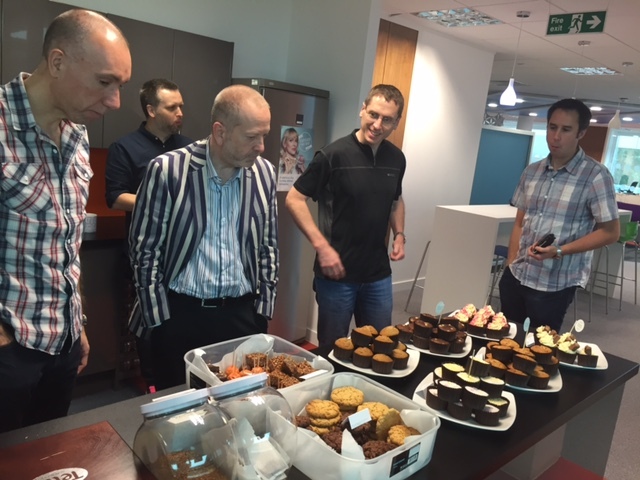 We will post later to let you know how much RDT has raised for this brilliant charity. 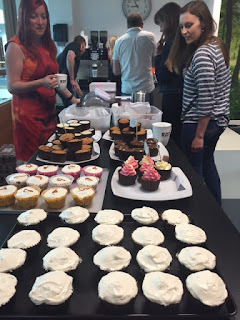 Alzheimer's Society Cupcake Day - an update!